Introducing SimpleSelect, a comprehensive plan package, offering a wide range of healthcare coverage options. You can choose from 2 to 28 plans, including PPO, HSA-compatible high deductible health plans and HMO plan options. The ease and simplicity of SimpleSelect lets you pinpoint the coverage they need at rates they can afford. The new plan families have been designed with a logical price and benefit progression, making it easy to distinguish among the options. You can find a solution that's just right for your business – from plans with the richest benefits and low or no annual medical deductibles, to our leanest plans with affordable monthly rates in exchange for greater cost-sharing for members. 1. Pick two or more plans that offer the right level of coverage for your employees. 3. Provide your employees with healthcare coverage they can trust! To learn more about the SimpleSelect package, download (PDF, 2.7MB) the brochure or order printed copies today. *Underwritten by Blue Shield of California Life & Health Insurance Company. Pending regulatory approval. 1. SimpleSelect has a total of 36 plans, 8 of which are HMO plans with a choice of the Access+ HMO or Local Access+ HMO network. If you are an employer located in certain California counties whose eligible employees live or work in the Local Access+ HMO service area, you have the option of choosing any of the Access+ HMO or Local Access+ HMO plans, but not both. The Local Access+ HMO plans have the same benefits as our Access+ HMO plans. The service area for Local Access+ HMO plans in the Benefit Summary Guide (A16609). 2. If you are an employer located in certain California counties whose eligible employees live or work in the Local Access+ HMO service area, you have the option of choosing the Local Access+ HMO plans or the Access+ HMO plans, but not both. One HMO plan option must be selected; both options are not available to combine. The Local Access+ HMO plans have the same benefits as our Access+ HMO plans. The service area for Local Access+ HMO plans is described in the Benefit Summary Guide (A16609). The new SimpleSync package offers simple, affordable, and flexible solutions foremployers. With a variety of options and benefit plans you can count on, SimpleSync is perfect for small groups that want to offer a Blue Shield plan alongside another carrier's HMO. You have up to nine plans to choose from, including comprehensive PPO plans, a high-deductible plan (HDHP) that is eligible with a Health Savings Account (HSA), and an HMO plan. SimpleSync provides relaxed participation guidelines, so you will find it easier to qualify. It only takes five enrolling employees with 65% enrollment in Blue Shield plans to qualify. And if you would like to offer SimpleSync alongside another carrier's HMO, in addition to the previously mentioned guidelines, at least 50% of the total number of employees must be enrolled in Blue Shield plan(s). For more information, download the SimpleSync brochure (PDF, 1.46MB). It contains a worksheet that will help you determine if you can enroll in the SimpleSync plans. To learn more about SimpleSync package, download (PDF, 1.46MB) the brochure or order printed copies today. *Underwritten by Blue Shield of California and Life Health Insurance Company. Pending regulatory approval. The Enhanced PPOs offer a balance between the richest and most affordable PPO plans, and provide the flexibility of a PPO with affordable monthly premiums. Base plans feature affordable PPO plan solutions with physician office visits* covered before the deductible is met. Base PPO plan premiums are generally lower than those for the Premier PPO and Enhanced PPO plans. Keep your ' budget in check with Blue Shield's PPO Value plans, which have some of the most affordable rates. Plus, they feature some of the most popular benefits. Putting employees in charge of their own spending, the Simple Savings HDHPs allow them to open an HSA to pay for qualified medical expenses with tax-advantaged dollars. And once the deductible is met, employees can expect consistent out-of-pocket costs. Download the optional benefit flyers for these plans. The Access+ HMO® and Local Access+ HMO® Premier plan family features brand-name prescription drug coverage without a deductible, a range of copayment amounts to choose from, and fixed hospital copayments to help members predict their costs. If you want healthcare coverage in Baja California, Mexico, our Access Baja® HMO plans may meet your needs. 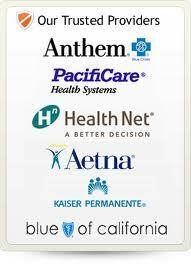 * Underwritten by Blue Shield of California Life & Health Insurance Company. Pending regulatory approval. ** Some limitations apply. Please refer to the Certificate of Insurance for further details. It is ideal to submit all completed forms two weeks before the requested effective date to provide ample time for the carrier to underwrite and provide a group number.